Cat #20226 | I Want To Draw a Cat For You! Kylie gifted a cat to Tyler! 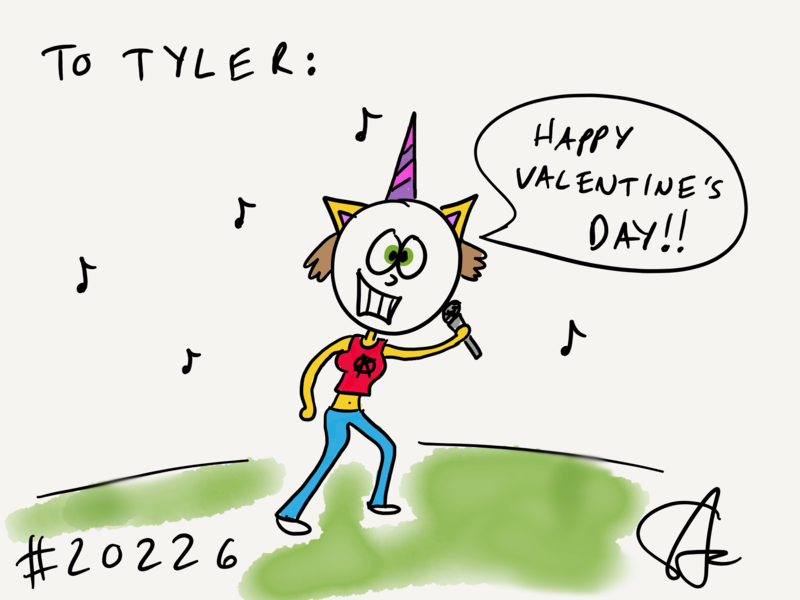 She wanted a punk rock cat singing Happy Valentine’s Day! Whoopy!